Site Search is a handy feature in Google Analytics that is relatively easy to set up, and provides a wealth of information. 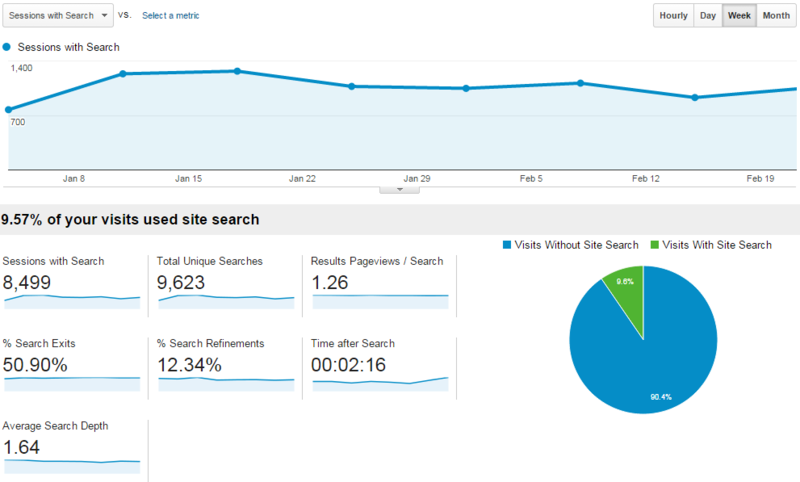 What Is Google Analytics Site Search? What Does Site Search Tell Us? The reason this information is useful is that it gives you valuable insight – users who are not able to find what they want usually will search. Therefore, if there is a tremendous amount of searches for a specific topic, product, or more, you should consider making the searched for items more prominent. 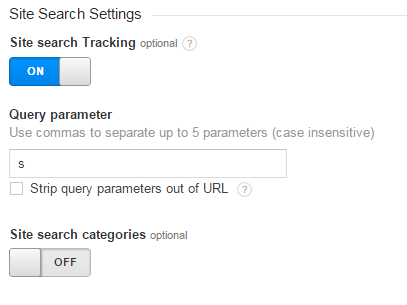 Below is a guide for how to set up Google Analytics Site Search. It’s fairly easy and should not take a long time to implement. WordPress and a lot of popular CMS’s will use what is called a query string search, meaning you can put anything after the “?s=” and it will be searched. Knowing the query string search value is important, and for WordPress it is “s=” – let’s make a note of that and move on. In our Analytics Account, select your main View, and then View Settings. Searches must be set up on each view, so if you have multiple views, you’ll have to repeat this for each view. Note: if your site uses categorical search, you can enable the “Site search categories” option, and enter in the query string value for categories as well. With this information now tracking, you should be able to go back to your site, and perform a site search. Google Analytics takes a day to render all analytic information into your account, including site search information, so check back a day later for all information to be visible in Google Analytics. Step 4: Analyze Your New Search Data! The easy part is done – now you can gain insight into what users are searching for. The hard part is ahead – analyzing the data, seeing what can be changed to make frequently searched items more prominent, and engaging your visitors after the search.